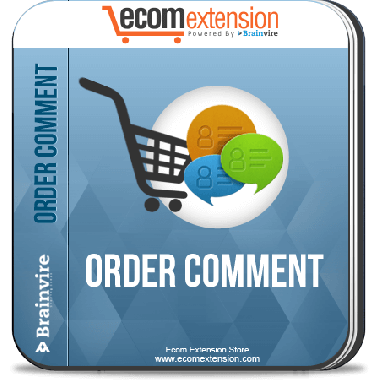 Order Comment Extension for Magento enables the customers to add comments, instruction and special requests on the go while purchasing product of their choice. 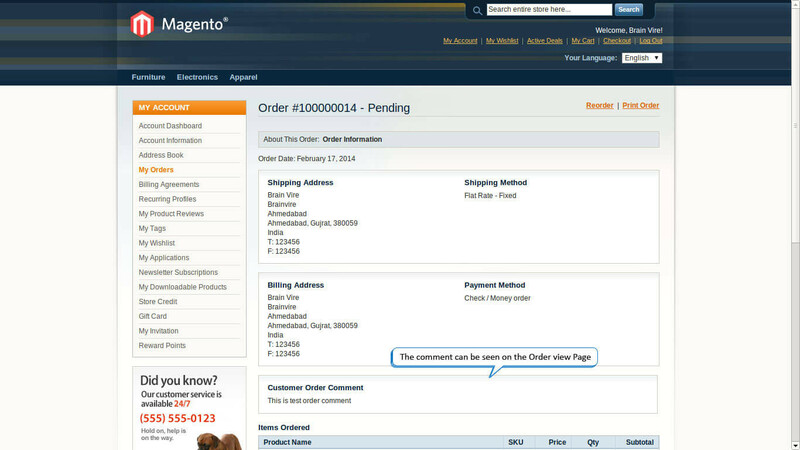 With the help of Order Comment Extension for Magento the user can add comments to the order that they have placed. Surprisingly, Magento does not have the inbuilt functionality where in the customer can place his/her comments in response to the order made. 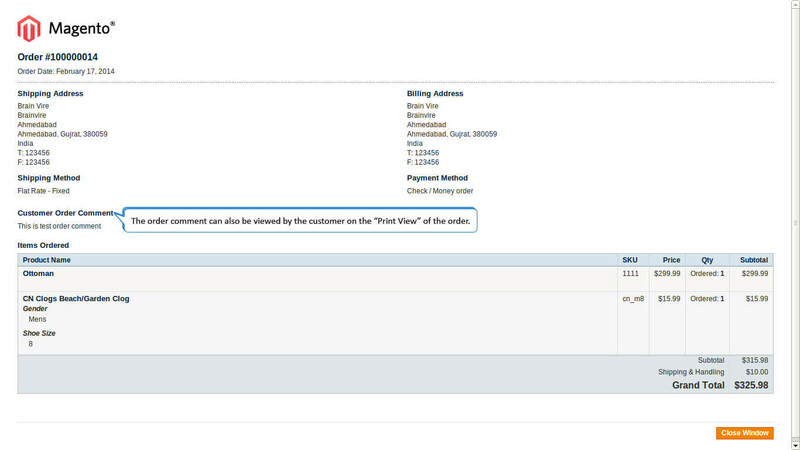 Our Order Comment Extension for Magento provides two way comments to be highlighted in the order detail screen. The extension is easy to install and use. The Order Comment Extension is lightweight, fulfills the task with minimum obstruction and is in line with the Magento Order Management Workflow. Allows customers to write comments or instructions in the checkout page. This simple and flexible Order Comment Extension for Magento will add a new dimension to the customer’s online shopping experience.